When done well, onboarding impacts revenue growth, customer service, competitive agility and a full range of business objectives and outcomes. SilkRoad (http://www.silkroad.com), a global leader in strategic enterprise onboarding to drive Talent Activation and business outcomes, announced the hiring of Lilith Christiansen as vice president of Onboarding Solutions. 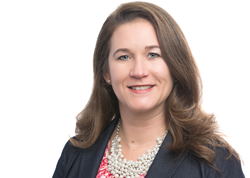 In her new role, Christiansen will lead a team dedicated to partnering with SilkRoad customers to develop world-class strategic onboarding practices and programs that transform their employee experiences and drive business outcomes. Christiansen brings more than 20 years of consulting experience to SilkRoad, having established a reputation as an industry expert, author and speaker. Prior to joining SilkRoad, Christiansen served as Vice President of the Organizational Development Practice group at Kaiser Associates, co-leading deep analytical and business performance perspective projects to help leading companies succeed against organizational development challenges. Christiansen is also an accomplished author; her book “Successful Onboarding” highlights her methodologies for creating strategic onboarding programs on a global scale to unlock hidden values from talent bases. Editors’ Note: A photo of Lilith Christiansen is available upon request.